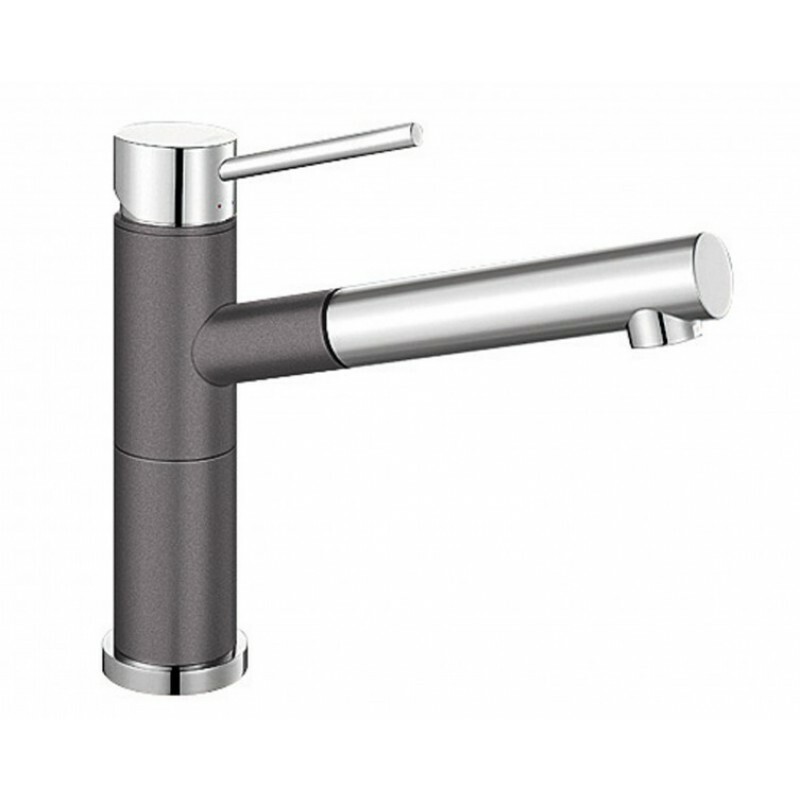 This Blanco Single Lever Mixer Tap with Pull Out Arm ALTASG with engineered in germany, SILGRANIT and chrome dual finish, high clearance outlet, 128° swivel spout, metal-sheathed hose. Colour version in perfect co-ordination with coloured SILGRANIT PuraDur sinks and bowls. Pull out hand spout with metal sheathed hose ensures longevity of the tap. Giving greater ability to clean larger items in a confined space.